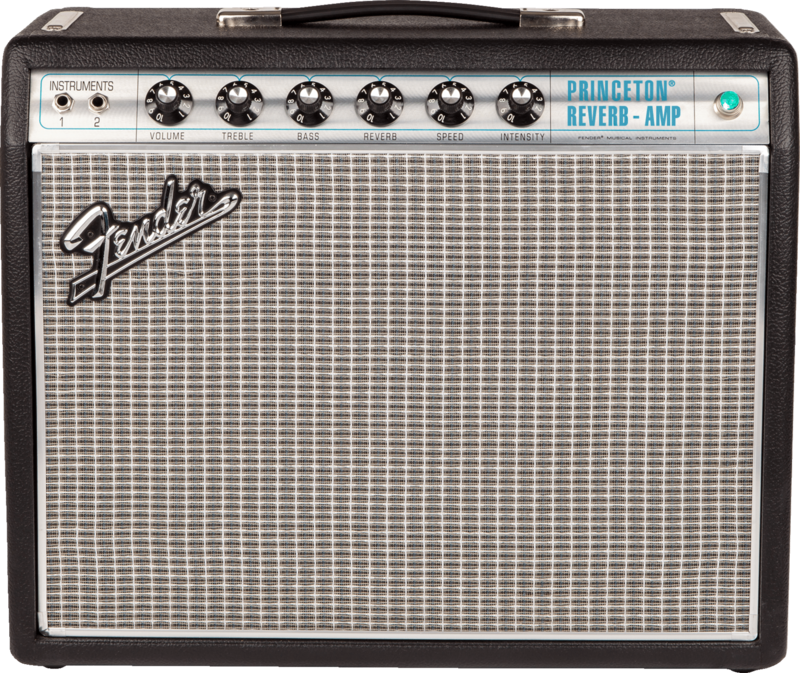 This brand new Fender ’68 Custom Princeton Reverb is the real deal—classic Fender tone and look, infused with a new level of versatility. This little 12 watt combo sounds great. Lush ‘verb, great vibrato, and outstanding breakup if you push it just a little. 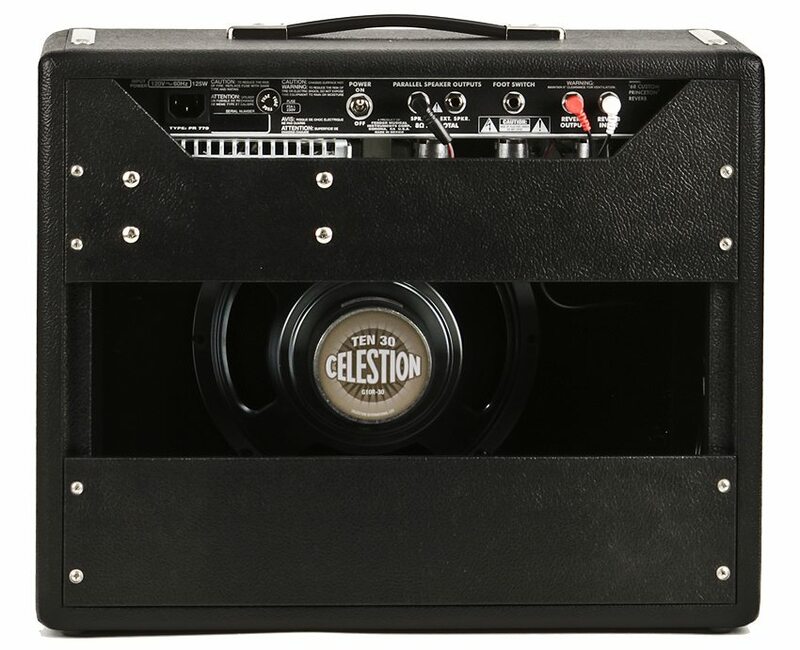 The 10” Celestion Ten 30 is a great match and adds just a tiny bit of extra edge to the sound. Along with the speaker, other enhancements include a modified tone circuit to help give modern players greater tonal flexibility with pedals, and reduced negative feedback for greater touch sensitivity and quicker onset of overdrive. New features aside, rest assured this amp is old school Fender through and through—from its throwback Silverface faceplate and ‘Drip Edge’ grill accents, to it’s 6V6 power section and custom-made Schumacher transformers. 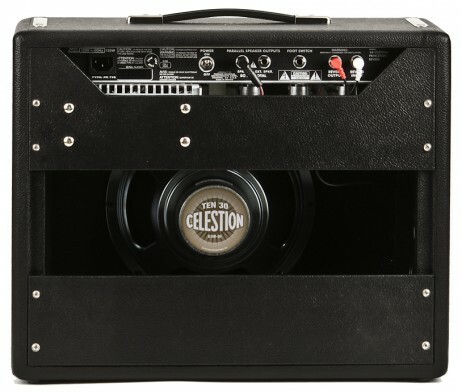 This amp’s single 10-inch Celestion speaker delivers a tightly focused and manageable tone, that makes it easy to get a great sound in the studio from the moment you mic it up. When you want a clean sound, the ’68 Custom Princeton Reverb presents a shimmering tone with lots of color and overtones. And when you push the gain a little further, you’ll find plenty of compelling and musical crunch sounds to play with. 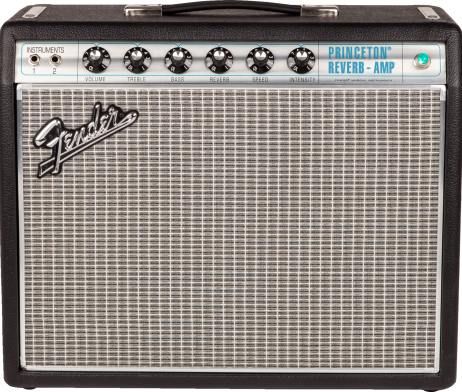 The ’68 Custom Princeton Reverb is a single-channel amplifier with two 1/4-inch inputs that can be used individually or in tandem. The Volume, Treble, and Bass knobs allow you to shape the overall contour of your tone, while the Reverb, Speed, and Intensity knobs allow you to dial up “wet” tones that range from surf and rockabilly to flat-out psychedelic and cosmic. 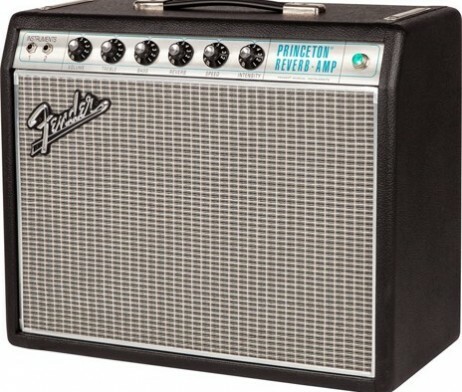 The The ’68 Custom Princeton Reverb gets its distinctive sound from 3 x 12AX7 and 1 X 12AT7 preamp tubes. 2 x 6V6 power tubes amplify this vintage sound to move 12 watts of power. The single 10-inch Celestion TEN 30 yields a super-manageable output, allowing you to push the preamp as far as you like without becoming too loud for studio work. 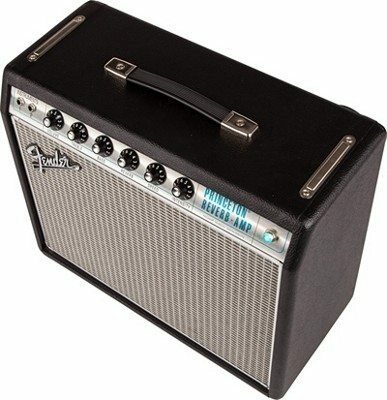 With so much nuance in a small amp, you can explore a whole world of tonal range just adjusting the Volume knob. 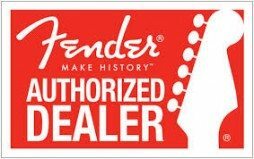 1968 was also a year that Fender nailed a truly timeless aesthetic, creating a look that has stood the test of time. The black textured vinyl covering is contrasted with a silver-turquoise grille cloth that immediately achieves a classic look. Meanwhile, the famous aluminum drip edge grille cloth trim that looks as distinguished onstage as always. The blue jewel pilot light glows as beautifully as ever, while the skirted control knobs pop with their elegant nickel-plated caps. 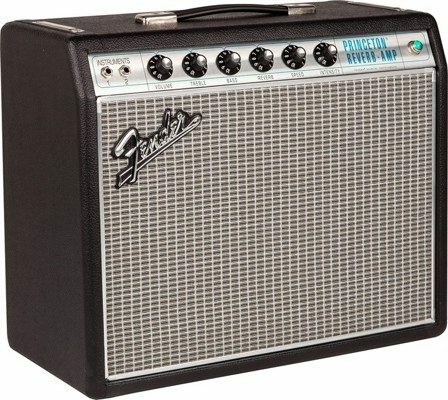 genuine Fender tube-driven spring reverb, genuine Fender tube-driven tremolo (“vibrato”), 1968-style Silverface aluminum trim around silver-turquoise grille cloth.